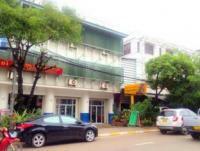 Ideally located in the Vientiane City Center area, Azalea Parkview Hotel promises a relaxing and wonderful visit. The property has everything you need for a comfortable stay. Free Wi-Fi in all rooms, 24-hour security, daily housekeeping, taxi service, 24-hour front desk are just some of the facilities on offer. Each guestroom is elegantly furnished and equipped with handy amenities. The property offers various recreational opportunities. 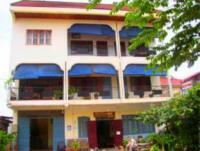 Azalea Parkview Hotel combines warm hospitality with a lovely ambiance to make your stay in Vientiane unforgettable.